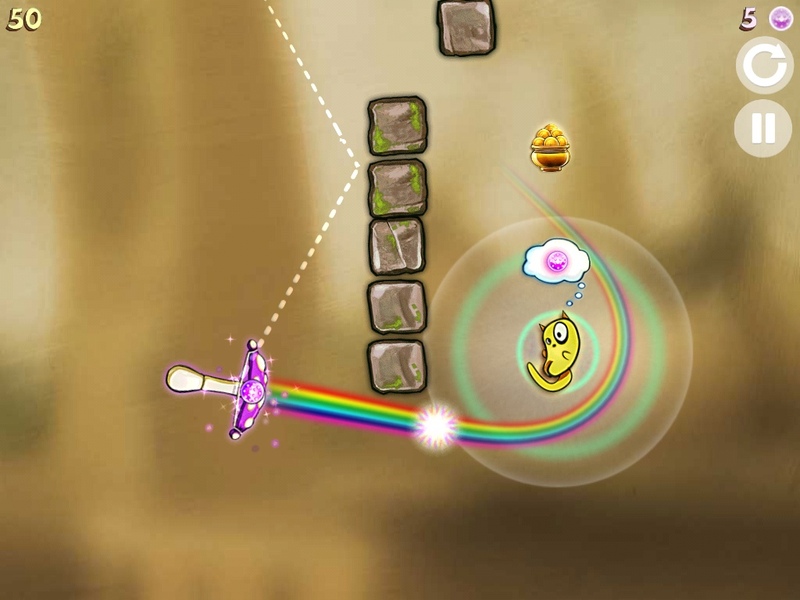 You can make all sorts of crazy angles since the rainbow can curve and bend. The art is quirky and cute, combining cartoon drawings with watercolor-like backgrounds. The music is pleasant but closer to the generic side. The sound effects are funny and cute, however. 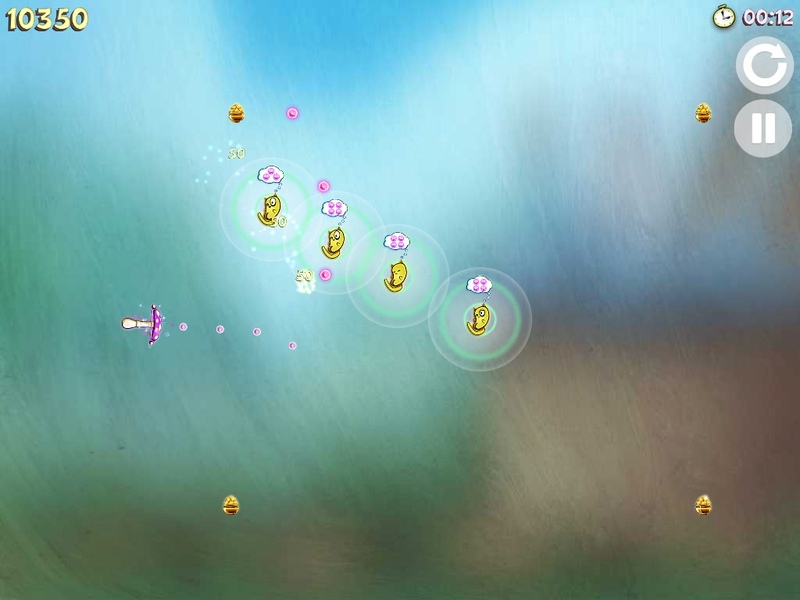 The fluidity of the controls is critical in this kind of game and this is where Hungribles needs further improvement. While you can turn your slingshot 360 degrees or bend the angles to your liking, it’s easier said than done. The help section (unfortunately the comic book style instructions are difficult to understand) recommends that you use two fingers for greater accuracy, but the exercise is often futile and frustrating. It’s difficult to aim and release properly, resulting in unintended errors and tangled fingers. Out of so many tries (and limited orbs!) I only get my aim right once or twice. I cannot tell if the controls are making the otherwise easy puzzles difficult to beat. 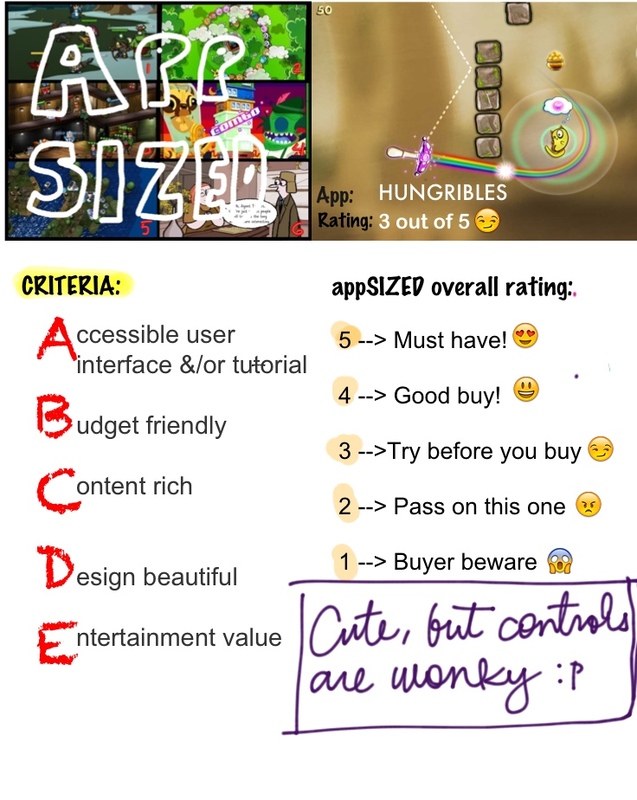 For this reason, I am hard pressed to recommend Hungribles if the controls are not significantly improved, despite the promising content it offers. The bewildering phenomenon that is Angry Birds accelerated the growth of the physics puzzler, a previously underrated genre, and spawned hundreds of copycats. While I am not a fan of Angry Birds, I do see its imprint on many similar games out in the App Store today. 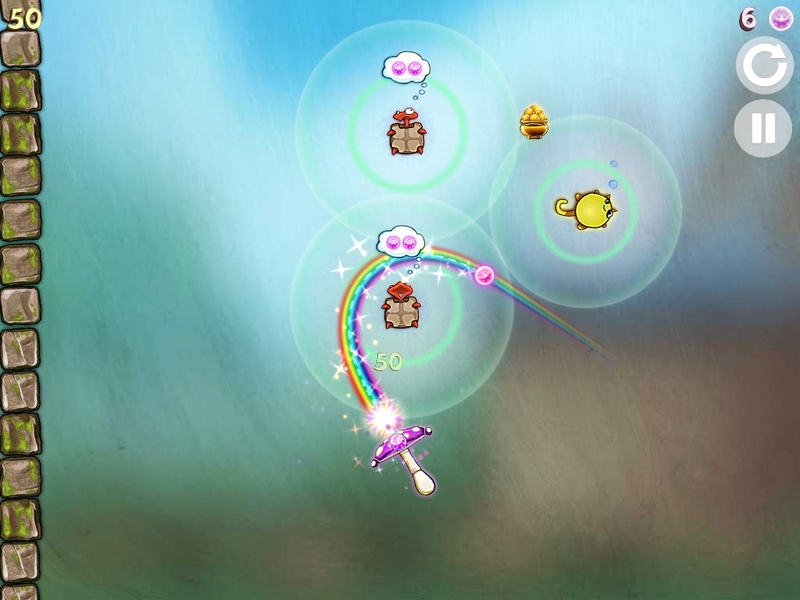 In some ways, Hungribles is one of these aspirants and appears to come from the Angry Birds school of physics puzzlers with a bit of Cut the Rope, another popular physics puzzle game. Where the similarity ends and its own identity begins is up to you to decide.